Is it so strange that Easter is in March this year? I actually had no idea until my six year old wrote it down on our calendar. I think that means (in blog time anyway) I am way behind on sharing recipes. So I decided to kick this week off with a yummy treat perfect to share with your bunny loving friends. 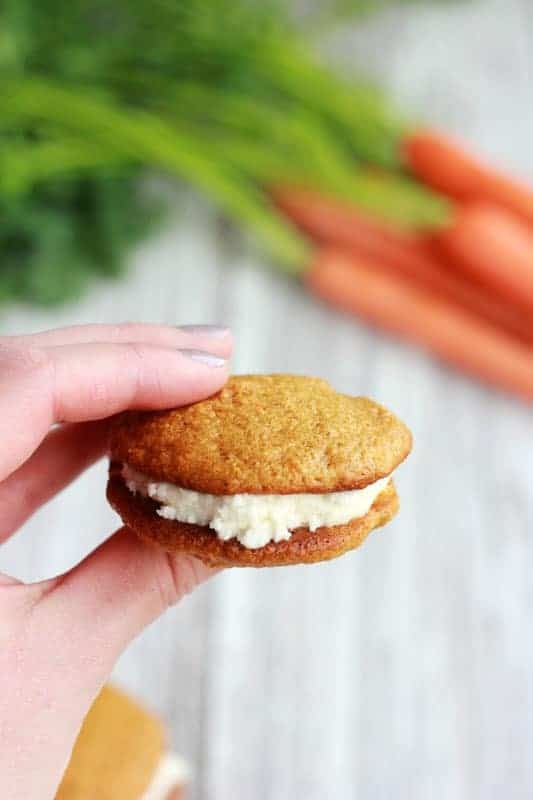 These Carrot Cake Whoopie pies are a fun mix between cake and cookie with a sweet and tangy cream cheese frosting center that is divine. I decided to use Bob’s Red Mill All-Purpose unbleached flour as the base and learn a little more about the difference between bleached and unbleached varieties. 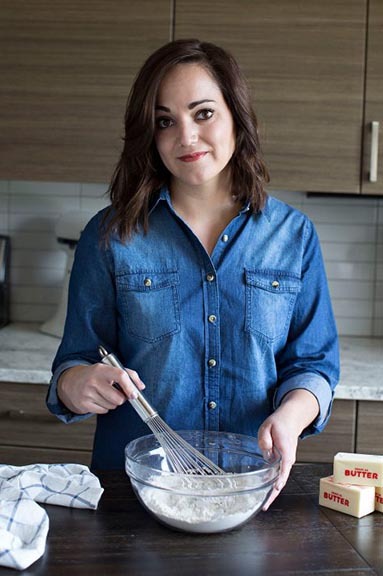 From my research, and correct me if I’m wrong, bleached flour uses bleaching agents to speed up the aging process whereas unbleached does it in a more natural way (source The Kitchn). 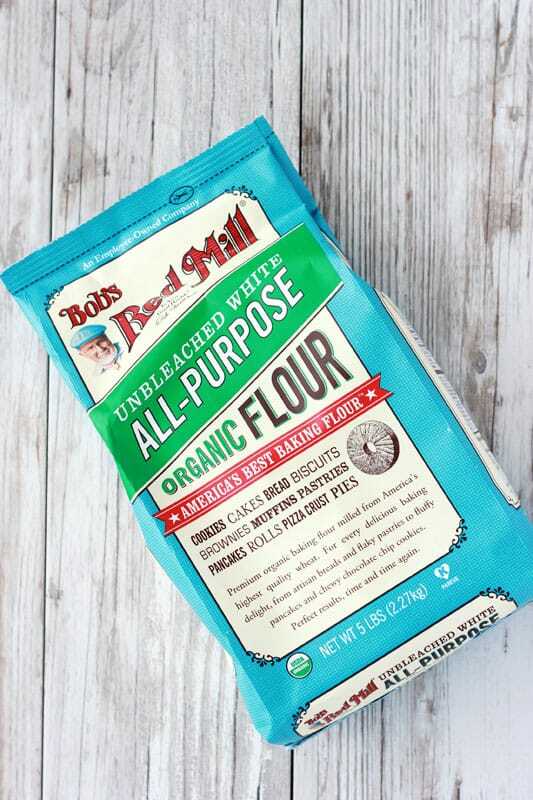 Bob’s Red Mill Organic Unbleached White Flour is freshly milled from Organic hard red wheat. Both the bran and the germ have been removed leaving the endosperm that is made into white flour. It is not enriched with any additives which sounds good to me. It is also the same high protein flour used by professional bakers and produces high, well-textured loaves of bread equally as well as it produces light, airy baked goods which is perfect for all of your Easter baking. 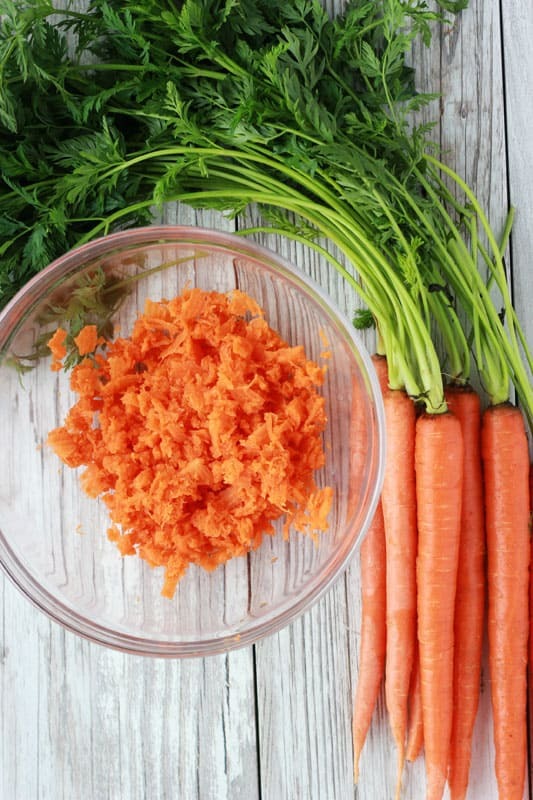 Now that we have our cookie base ingredient we can move on to the main flavor source, carrots! You can buy the pre-shredded variety in the grocery store buy I prefer to reach for these beauties. I use a potato peeler to gently peel the outer layer and carefully run it over a grater. Be careful with those fingers! I like to have mine slightly smaller shavings so they blend a little better into the cookie (or cake). Something about big chunks of carrot doesn’t appeal to me but it’s really just personal preference. Once all of your ingredients are together it’s time for the oven. A little tip from my kitchen? 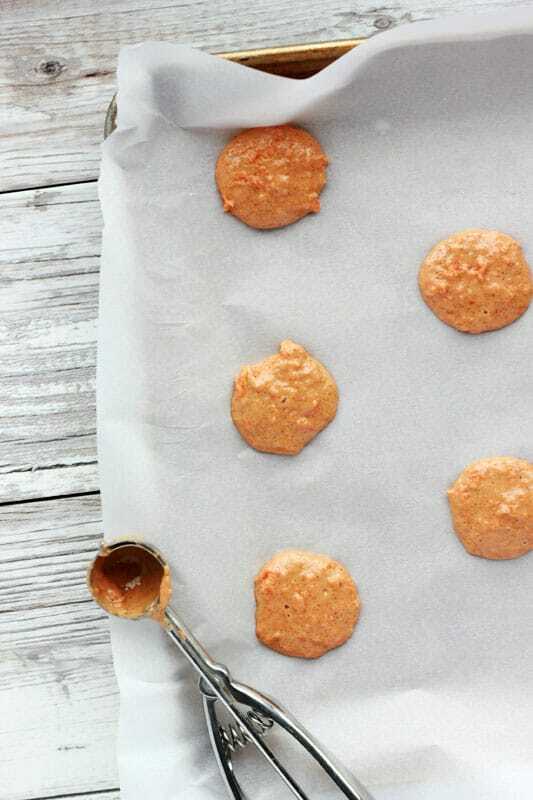 Use a cookie scoop for even sizes. Since these are meant to be sandwich cookies it helps if you can match them up easily. This scoop is a game changer. Ever one is relatively similar in size which means I don’t have to go on a weird cookie scavenger hunt trying to match them all together. Preheat your oven to 350 degrees. Line two baking trays with parchment paper and set aside. In a medium bowl whisk together the flour, baking soda, baking powder, cinnamon, nutmeg, and salt. Set aside. Combine the butter and sugars in the bowl of an electric mixer and beat 5 minutes or until fluffy. Add the eggs and vanilla followed by the dry ingredients. Fold in your carrots. Scoop equal portions of batter onto your prepared sheets. Bake 10-12 minutes or until the cookie has lightly browned edges. Cool completely and sandwich two cookies with a layer of cream cheese frosting. Easter is too soon this year! I’m having to jam pack St. Patrick’s treats and Easter treats! 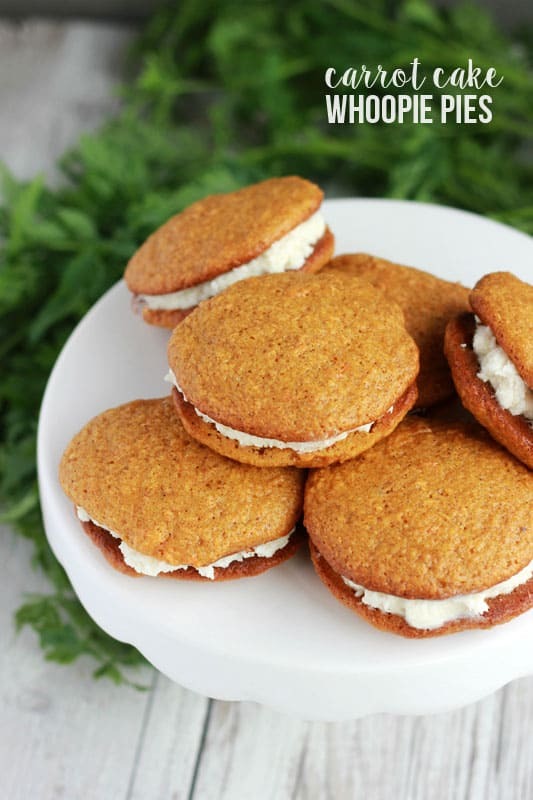 I’ll have to fit these in because I’m carrot cake obsessed and rarely make whoopie pies – yum!